Sony being sued for illegally using Music in the controversial film "The Interview"
Just two days after releasing ‘The Interview’ online and through select theatres, Sony Pictures is facing a new challenge on the legal front. Korean singer Yoon Mi-Rae of Feel Ghood Music says that Sony illegally used her ‘Pay Day’ song in the film without her consent. She confirmed to Soompi that though there were initial negotiations but the deal fell apart and Sony still used her song so she is planning to sue Sony. 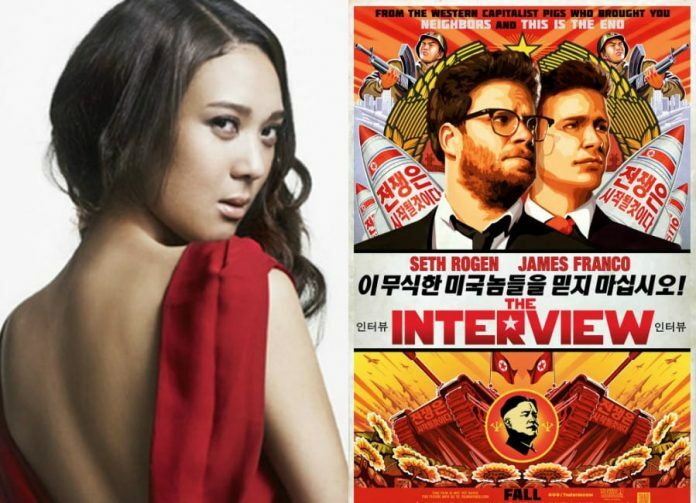 Sony’s The Interview becomes the most controversial film in recent times with the massive hack attack on its corporate network due to this film, the threat from the hackers called #GOP or Guardians of Peace of a 9/11 style attack, Sony backing off from releasing the film and then President Obama panning Sony for bowing to the hackers. Ultimately when Sony did release the film on Christmas, the film actually did pretty well at the box office as well as in online biz. But not before torrent sites had a field day with the film. On the last count, the film has been downloaded as many as 1.5 million times by different users through different torrents throughout the globe. Sony’s distribution president Rory Bruer said in a statement that “The audience reaction was fantastic — the limited release, in under 10 percent of the amount of theaters originally planned, featured numerous sellouts and a first-day gross over $1 million.” The Interview is giving Sony Pictures around $4.93 per download according to sources and is at the top of legal download charts as well. Tasha Reid aka Natasha Shanta Reid is an American born Korean singer who is better known by her Korean name Yoon Mi-rae. She was a stage artiste performing under the stage name of T before turning into a Korean rapper and singer. She is part of the Korean hip hop crew The Movement, current member of Mfbty, and belongs to the label Feel Ghood Music. She is a celebrity of her own right with her group, My Fans Better Than Yours, hitting number one spot on the Korean Music Charts in January 2013 and her song “Touch Love” hitting Billboard’s Kpop Hot 100 in September 2013. Someone else too has big problems with the release of The Interview and bigger problems with President Obama’s ‘proportional response’ statement against North Korea. The North Korea’s highest decision making body, National Defence Commission (NDC) on Saturday called US President Barack Obama a “monkey” for inciting cinemas to screen a comedy featuring a fictional plot to kill its ‘supreme’ leader Kim Jong-un. In a statement published on the official KCNA news agency, the NDC spokesman blamed United States for the massive internet outage suffered by the North Koreans through the week. Whether or not, ‘The Interview’ is released seems irrelevant now as the controversies surrounding it refuse to die down. It remains to be seen whether NDC carry out their threats against the US or Yoon Mi-Rae carries out her threat against Sony, but this is one Christmas, Sony wont forget in a hurry. BWA HA HA HA HA HA!!!!! This is so good, it just HAS to be fattening!